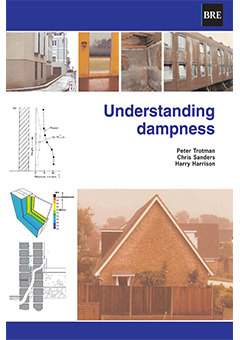 Householders, and even some surveyors, are too quick to assume that problems with dampness are caused by rising damp. In fact, true rising damp is not very common. Because the remedies for rising damp are so expensive, it is doubly important to ensure the diagnosis is correct before starting work. This Guide presents a systematic approach to the problem, i.e. checking what else could be causing the problem, checking that the damp-proof course has not been bridged, drilling out mortar samples (see BRE Digest 245 for more details of this technique) and installing a new dpc. 4 pages.